Everyone wants to have the opportunity to experience luxurious accommodations in an exotic location. In this economy, most people have to put the exotic vacation on hold until the economy rebounds. Typically, exotic vacations cost an exorbitant amount. Fortunately, the travel industry is able to offer discounts in some of the more popular exotic locations due to the economy. Travelers should engage in some research to determine where to find the best exotic vacations under $500. 1) Hawaii's beaches consistently rank in the Top Ten Best Beaches in the World. Recently, many Last Minute vacations have been advertised to Oahu and Maui for US$399 to $500. The package includes 4 Star accommodations and air travel airfare. This offer is provided through Pleasant Holidays. 3) CheapCaribbean.com is offering travelers an escape in St. Thomas. Guests may stay 4 nights at Marriott’s Frenchman’s Reef and Morning Star Fl Beach Resort from $499 per person. Airfare is included in the price. The price assumes a flight from Miami, Fl. Additional fees may apply for those flying out of other airports. Enjoy the clear blue waters and white sand beaches of the Caribbean. Travel must take place between May 15 and July 25. 4) The Grand Palladium Jamaica Resort and Spa offers guest 4 nights of luxurious accommodations and air transportation for just under $500 from a Miami airport. The resort includes all meals, watersports, and swimming free of charge. The beaches are immaculate and the ocean waters are a clear turquoise blue. 5) Barcelo Puerto Vallarta and Suites is offering an all inclusive vacation for 3 nights in Puerto Vallarta’s 5 diamond hotel. Vacation with Airfare included in the package for $499. One free day of car rental is also included. Snorkeling, windsurfing, sailboats and others are each included in the package. 6) Intercontinental Hotels is offering an all inclusive vacation resort to the luxurious Los Cabos located at the southernmost tip of the Mexican Baja peninsula. The resort includes meals, libations, and activities for just under $500 per person. 7) The Mediterranean is a beautiful location to visit. For an inside cabin, travelers may secure a cruise for just under $500 per person. Most prefer an exterior cabin. If travelers spend most of their time exploring the ship, the interior cabin may not be such a sacrifice. Double occupancy is required however. Norwegian Cruises are offering 4 nights to the Mediterranean. 8) The Fairmont Southampton is a five star resort in exotic Bermuda for slightly over $500. The package includes 3 nights plus airfare. The resort is offering an instant $600 rebate to offset the expenses. 9) Wyndham is offering a Bahamas all inclusive resort holiday for as low as $349 per person. The offer includes a flight from Miami, Florida and 4 nights at the Viva Wyndham Fortuna Beach Resort. If you are willing to sacrifice more luxurious accommodations for the location and activities, the location and the price of the packages are ideal. Snorkeling to view coral reef off the shore of Grand Bahama Island’s white sand beaches may be just the way to relax and enjoy the vacation. Guests may also partake in trapeze class and dance classes. 10) Europe is a coveted dream air travel vacation for many. Unfortunately, only travelers near the area will be able to partake in the deals under $500. Cruises may often appear on sites for less than $500. If the traveler enjoys backpacking or hostels, he or she may find a vacation in the area close to the amount. However, remaining in a $500 is still quite a stretch. 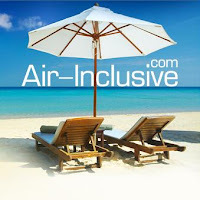 We hope that you found great Air Travel Vacations information for planning your next best family vacation, honeymoon, holiday or business trip.